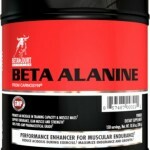 I recently began taking a Beta Alanine supplement and have a question. While I feel it is helping my workouts I notice that whenever I take it I get a tingling sensation throughout my body. Is this normal? Hi Dan. Yes, some people do feel a tingling sensation when they take Beta Alanine. This is not harmful, and as long as it doesn’t bother you too much there is no reason to stop taking the supplement. This sensation will most likely to decrease over time with continued use. Using a supplement that uses a time-release form of Beta Alanine may cause less of a tingling sensation too. This is because it is absorbed slower by your body. One Beta Alanine supplement that uses the time-released form is Betancourt Nutrition Beta Alanine powder. In addition to being time-released, it contains the amount of beta alanine found to be effective in clinical studies. Do you have a nutritional supplement of fitness product related question? If so, send it to us at Ask Stayfitcentral and will answer it here at Stayfitcentral.com. Ask Stayfitcentral: Is There A Natural Diuretic That Works?